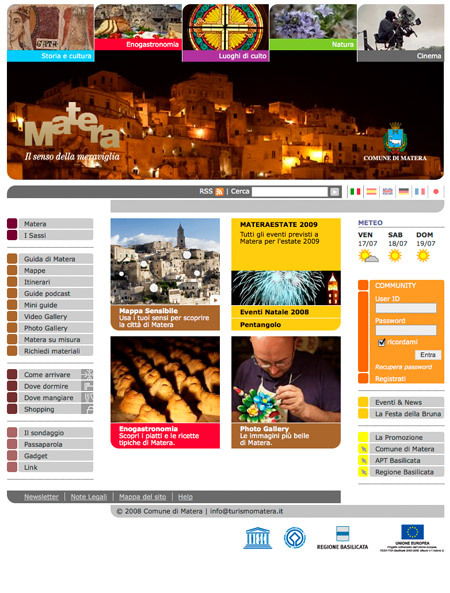 Technological development of the tourism portal of the Municipality of Matera, in collaboration with KPR & Key. The site, issued in six different languages, is full of information and interactive content. Provides useful information to learn about the city of Matera and also provides an area where community members can post comments, photos and video.